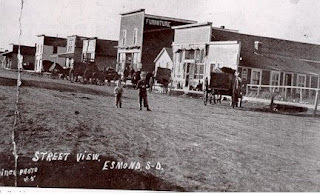 On the flat prairie of eastern South Dakota, there once thrived the bustling little town of Esmond. I had lived in the general vicinity for many years, but it wasn't until I began my genealogy quest that I really learned of its existence. Between my own personal research and research I've done for my various websites, I've encountered a lot of ghost towns, but despite having a population of zero, Esmond is far from dead. It started out with the name "Sana", and like many other small towns, was impacted by the westward-sprawling railroad tracks. The town was moved 1/4 of a mile to be nearer to the railway, and renamed "Esmond" in the early 1880s. My connection to this area is through my great-great-grandparents. 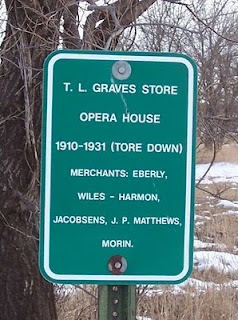 Thomas Lafayette Graves, his wife Nettie Bell (Lair), and their four children pulled up their roots from Stark County, Illinois, bid adieu to their parents, siblings, cousins, and lifelong friends, and headed northeasterly to the small hamlet in March of 1906. Tom was both a farmer and carpenter by trade, really a Jack of All Trades, working with his only son, Delbert. They lived on a farm just a stone's throw north of town. 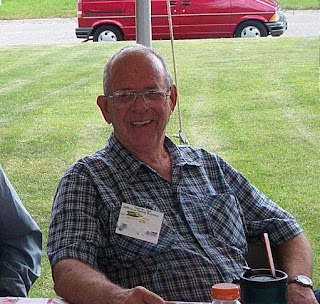 During their years there, Tom and Delbert built many homes and barns, and most notably, a large double-wide, two story building in Esmond. 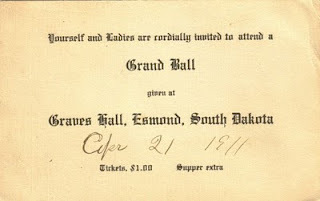 This building, known as the Big Store, housed a store on the main floor level, and an opera house/dance hall on the upper level (note the "T. L. Graves, 1911" at the top of the building). We do not believe that Tom ever operated the store portion of the building, but he was responsible for many dances, and no doubt good times, in the upper level. When I first started researching this part of the Graves family's lives, I assumed I'd be disappointed with what little information I'd find, but I couldn't have been more wrong. Several books have been written, with an extensive collection of photos published, and an annual Esmond Homecoming held during the summer. On a trip back to South Dakota a few years ago, my mother and I made a detour through Esmond. Despite both of us having been born and raised nearby, neither of us had ever been there. Having seen the pictures of Esmond in its Glory Days, we hoped we might be able to see approximately where the Big Store might have been located. As we drove down the ice-packed dirt road to toward what was left of the town, the spirit of residents long gone seemed to give us a warm welcome, despite the brutally cold temperatures of a South Dakota winter. The gravel roads through the small town were packed with snow and ice, but, not about to be stopped after coming such a long way, we persevered, and were rewarded with signs on each lot, telling what business or home had been located there in days past. Gazing down the street a couple of blocks stood what was left of the elevators by the railroad tracks, and suddenly, my mind flashed to a postcard I had showing the same scene, with busy townspeople all going about their business. And just as suddenly, reality was back, and the elevators were delapidated, and the street empty. Every other summer, those wonderful souls who have taken responsibilty for keeping Esmond alive, hold an Esmond Homecoming, and one of these years, I'm going to make it back there to attend. 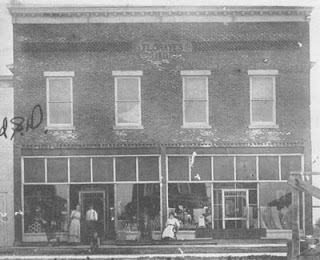 I want to go where my great grandmother went to school, where Nettie purchased her family's supplies, where Tom and Delbert laid brick after brick to construct the largest store in town. I want to see the town streets full of people, and hear the bustle of activity, and for just a moment, experience the thriving little community of Esmond, South Dakota. "Home - Esmond, South Dakota"
Thanks so much to Carol at Reflections From the Fence, for awarding me this fine honor! She's been a great source of encouragement since I started this blogging thing, and I appreciate it very much. Swiped from Carol's site: "The developer of the award 'Bandit' "A Blogger's Best Friend Award" says it shall be given to your most loyal blog readers. Thus, the award should be given to a follower of yours who takes the time to comment regularly on many of your posts. In addition his or her blog should be creative, funny and always entertaining. Upon receiving this award, pass it along to two fellow bloggers who fit this criteria." Thanks to Carol at Reflections From The Fence, my efforts to find information about Norene Madsen (original post), have renewed. I got a phone number for the Las Animas, Colorado library, and a very nice lady there looked up Norene's obituary and sent it to me. I've been salivating all week, waiting for this little goodie to make it's way into my mailbox. Now, I wasn't expecting her whole life's story in this obit (which was fortunate, because I certainly didn't get it) but it was a bit of a disappointment, to say the least. I did learn that prior to her retirement, whenever that was, she worked as a supply clerk at the Dugway Army Depot in Utah. Thanks to Google, I learned that Dugway was a town that was created in the early 1950's, with 400 homes, nearby to Dugway Proving Ground, where military weapons were tested and research done. Dugway is southwest of Salt Lake City. I previously knew she had lived in Grantsville and Tooele, nearby towns, around 1963. I know for certain that Norene had three husbands; the last one, Mr. Madsen, was not listed among her survivors, nor was he mentioned as having preceded her in death. Therefore, I am surmising that they were divorced at some point earlier. But where and when, who knows? I also learned that Norene died in Las Animas, something I suspected, but didn't know for sure. Next? Try again to get a death certificate for both Norene, and her mother, Maude Humphrey Henard. Both died in Las Animas. I just sent an email to the Bent County Recorder, and asked how to proceed. My previous attempts with the state only got me a year of frustration, an aching back from jumping through all those hoops, and $34 poorer. Hopefully the county will be a little more user-friendly. 1) Getting a few minutes' peace and quiet to post to my blogs. 2) Watching my energetic little Tori so happy she breaks out in dance while she sings "Oh yeah!!" 3) Getting a genealogy goodie in the mail. 4) Working on my websites and getting HappyGrams from people who have found useful stuff. 5) Seeing my little Alyssa's face light up with a big fat smile when she sees her Grammy. 6) Getting a few minutes' peace and quiet to huddle up with my Bible and ponder what it has to offer. 7) Hitting the snooze alarm as many times as I want. 8) Watching my sweet Sierra with tears in her eyes at her gr-gr-gr-grandparents' graves, and seeing the love she has for people she never knew, but feels so much a part of. 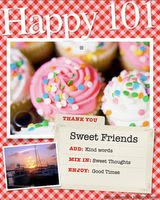 9) Reading fun, insightful, newsy and touching blog posts, and getting to know new friends. 10) Seeing my husband's eyes sparkle when he laughs. The best Irish genealogical "find" I ever got, or could ever hope to get, was not a photo, not a document, not any single piece of information. The best asset to our Irish legacy was Uncle Jimmy. We already had land documents, plats, birth, death and marriage certificates, baptisms, etc. We had plenty of facts about our Joyce clan of Hand county, South Dakota. 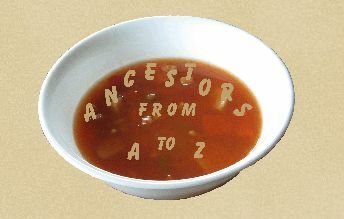 What we were sorely lacking was a depth to their beings - personal stories about them and their day-to-day lives - which Uncle Jimmy was more than happy to supply in abundance whenever family gathered. Many of his childhood memories are grounded in the tight-knit Joyce clan on his mother's side of the family. His stories told of tough times, happy times, stories of he and his young cousins stealing liquor and drinking under the porch at Grandpa Pat Joyce's farm home, family gatherings, and the old folks telling stories of their own and the boisterous laughter drifting across the South Dakota plains. What he brought to our family legacy can't be duplicated in any courthouse or library. He brought life itself to these folks long gone. Uncle Jimmy joined the ancestors last November. How blessed we were to have captured some of his stories. He was, indeed, our greatest Irish genealogy treasure.